Contact with people, other animals or things: Just like in humans, when they come into contact with items that were laundered with certain detergents, cleaning products, some kinds of fabrics (specially if they are synthetic) and for dogs any grooming products used on their skin. Environmental elements like air, water, etc: Environmental allergies, or seasonal allergies, which is the reaction to something in the environment, very often pollen, weeds and grasses which are the most common, and in areas where pollen is heavy in the early Spring this triggers it badly. Bonbon, starts sneezing, rubbing his nose against carpets, car seats, etc. Food: Food allergies which I think is the one that is more threatening to dogs. It is a response to certain foods, or the contents in certain foods, like: preservatives, grains, soy, corn, wheat or by-products, sometimes even eggs. They usually start scratching their front under legs, and tummy, usually these are food allergies. As in humans, allergies are a hard one to pin point. To what food, to what object or product, or just simply what you are allergic to. Flooring, most commonly carpets which can be made from synthetic fibers. 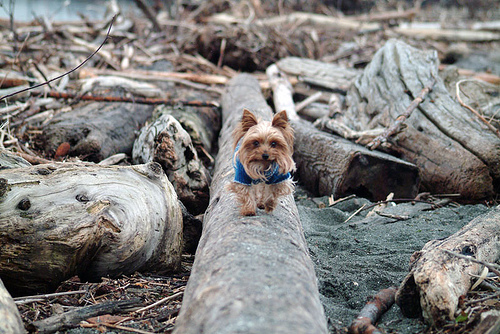 If you have carpet all over your home, try keeping your Yorkie on certain areas of our house with no carpet or place a cotton blanket that has been properly washed with hypoallergenic detergents and also, encourage your Yorkie to rest and sleep in his bed…this might be difficult, because our Yorkies are cuddling and nearly always like to sleep with their owner, Bonbon will very rarely sleep in his own bed. When buying cleaners and detergents avoid heavily perfumed ones and try to chosse hypoallergenics ones. It is best for all of us to use a “free of color or smell” detergent. Always good to wash his bed cover, clothing and mats with hot water to reduce the number of bacteria. If your Yorkie is a toy lover, remember to buy good quality toys, otherwise other cheap plastic toys may cause allergies in their mouth. Always prefer ceramic or stainless steel bowls since they are much better than using plastic bowls. With time and use, plastic tends to degrade and release harmful chemicals. 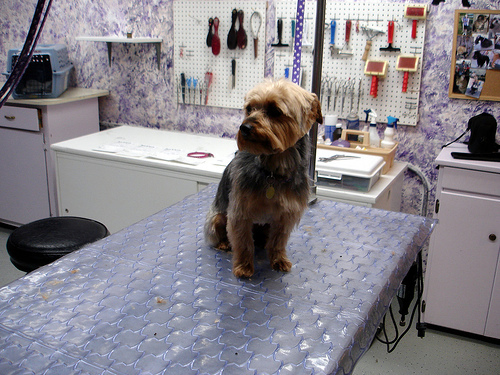 Shampoos and coat products are in direct contact with your Yorkie’s skin and can trigger severe allergies. 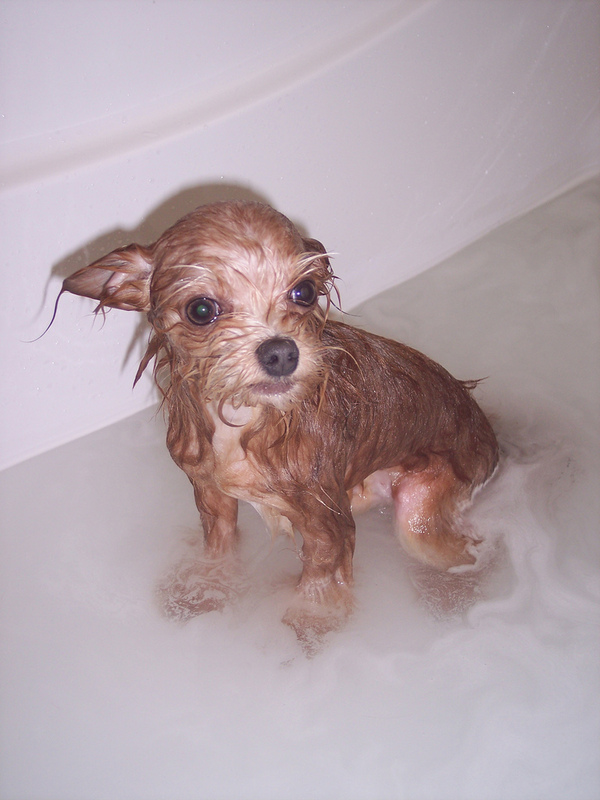 Always choose natural shampoo or coat products. Any shampoo, wash or coat product that contains heavy perfumes, certain preservatives, alcohol and foam boosters can start an allergic reaction. Try using top quality natural and organic products that contain no harsh ingredients. Sometimes we buy a certain food because of the brand or because we see them advertised on TV and sometimes those are the ones that cause worse damage. Snacks or treats sometimes may contain the same allergen that might be found in any kibble. So treats must be chosen carefully as well. If you want to avoid any of the problems with food, choose high quality all natural kibble and 100% natural treats. 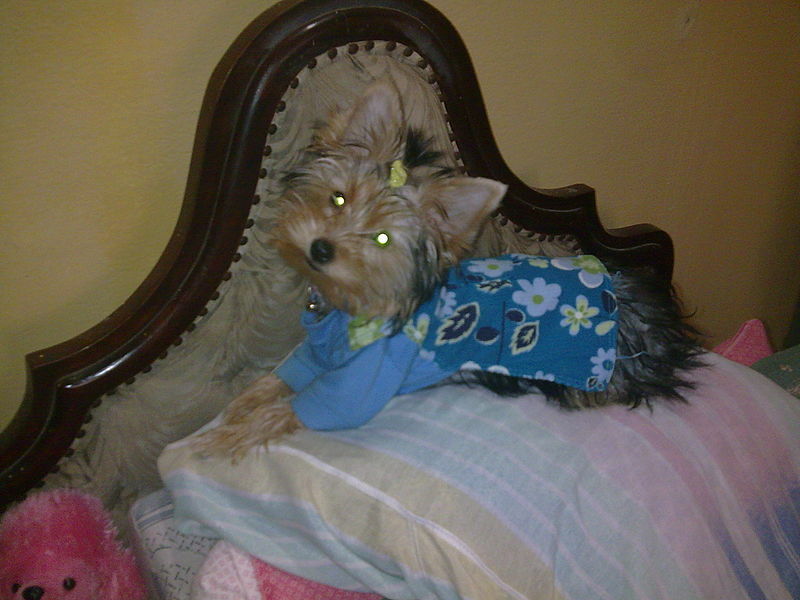 If your Yorkie seems allergic to chicken, like Bonbon is, there are other protein sources food that are very healthy. Fish recipes is a good choice for the natural omega and it will boost for skin health and it really helps with itching. There are many fish based products for small breeds. Usually pet food from Canada, New Zealand and Australia tend to be of higher quality and healthier products. These 3 countries have tighter regulations and controls for the use of hormones, chemicals, genetically modified ingredients, pesticides, etc on their food industry. Home cooking is another option. 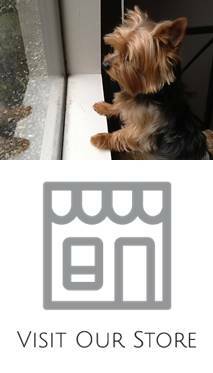 That way you can perfectly know what your Yorkie is eating. Bonbon likes salmon with rice, home cooked of course and also lean meat. If you notice that your dog is suffering from food allergy, and you have changed his food, please be patient because to see any significant improvement it takes from 8 to 10 weeks. 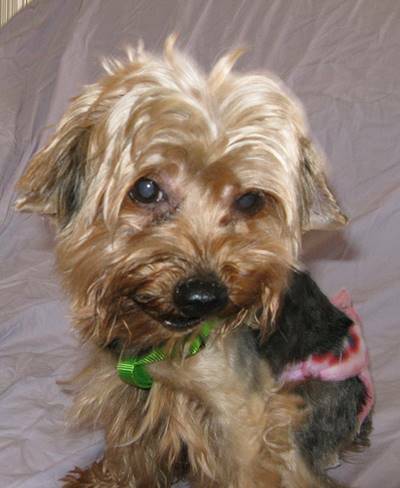 If your Yorkie has had vomiting and/or diarrhea it can help to keep him off food for a day or son and make sure that he is getting a lot of liquid. I have even tried coconut water as a hydrating element and Bonbon has liked it. Then continue with a very bland diet of just lean fee, or if not allergic to chicken, try white skinless chicken. You can add just white plain rice or maybe sweet potatoes. 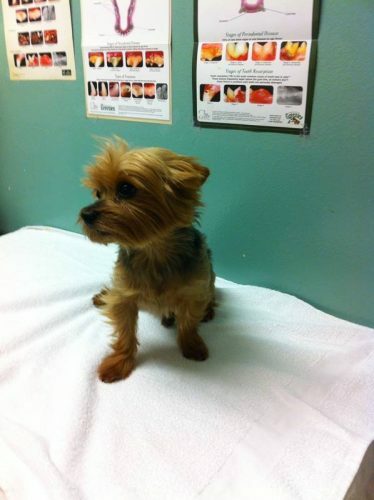 The list of allergy causes is endless, in our precious Yorkies just as for us humans, hard to get to the core of the cause, but meanwhile watch your Yorkie and of course any kind of alarming symptom always run to your vet for professional advice. Summer allergies for Bonbon, a friend gave it to me and I have bathe him several times with this mixture and he seems to like it, feels fresh, clean and happy. So if you want just try it, even in a summer day and it will keep mosquitoes and they also say fleas away. Mix all well with warm water and bathe your Yorkie with this. He will feel fresh, clean and it helps with fleas, as well as with grass allergies. You can also put 2 drops of each of the oils, in a bottle with warm water, and use to spray your dog once a day with that spray. 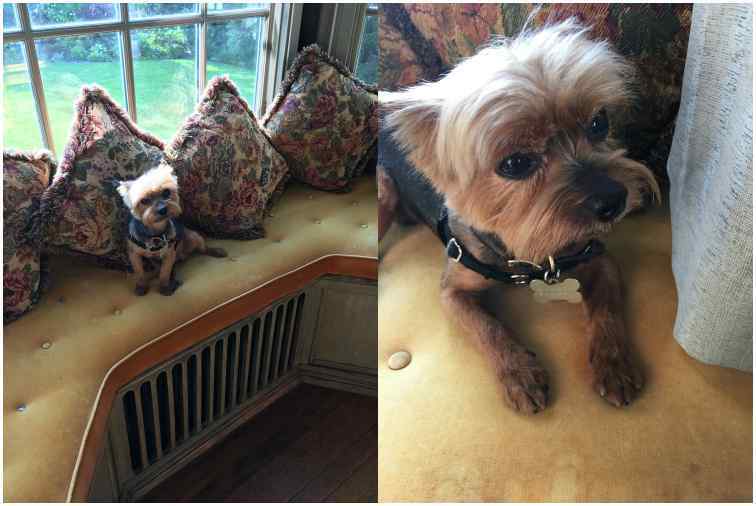 Well we can talk lots more about allergies for our Yorkies, but just wanted to give some ideas of what I have done and tried for Bonbon. Until next time enjoy Summer and watch your doggie for any of the allergies I have talked about. 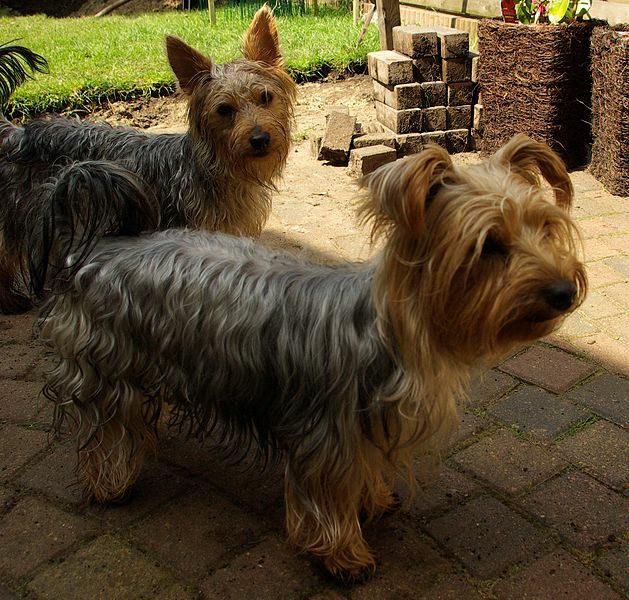 A Male or Female Yorkshire Terrier, What to Pick?